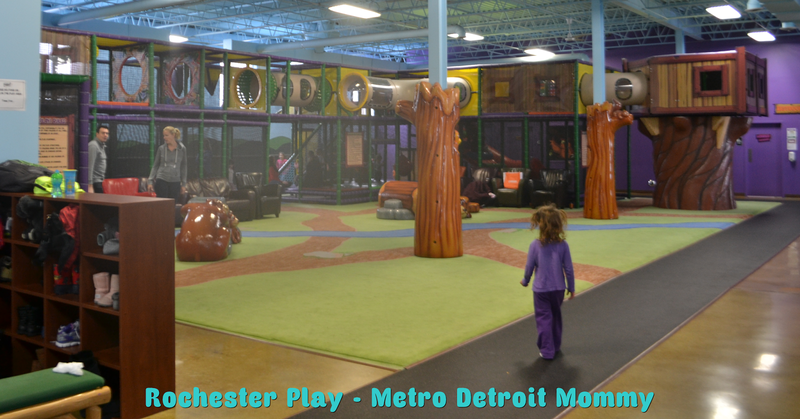 We recently had the opportunity to check out Rochester Play and their new space. 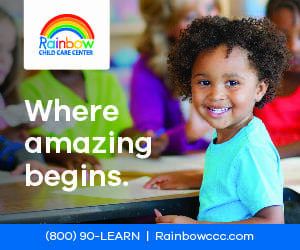 They are now located at ​380 E. Second St. in Rochester, just minutes from Downtown Rochester. 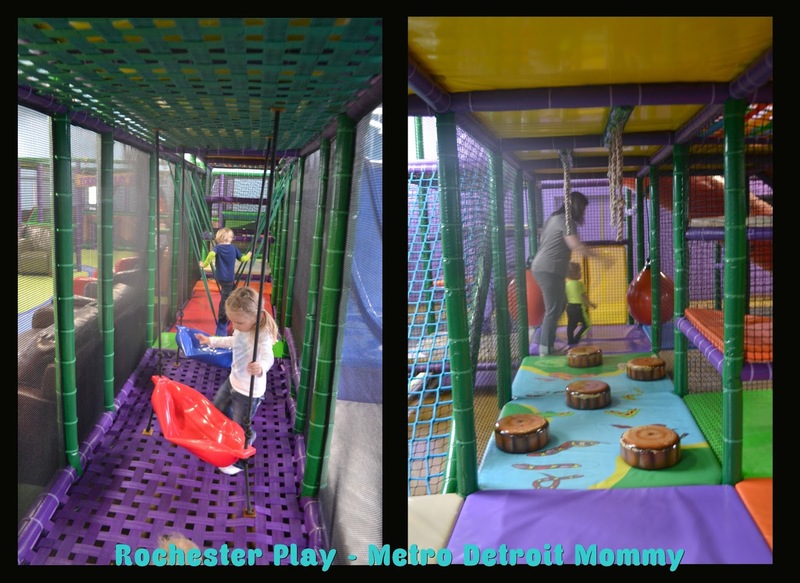 I have to say, I LOVE the improvements, especially the fact that the restrooms are now right in the same space as the play area. 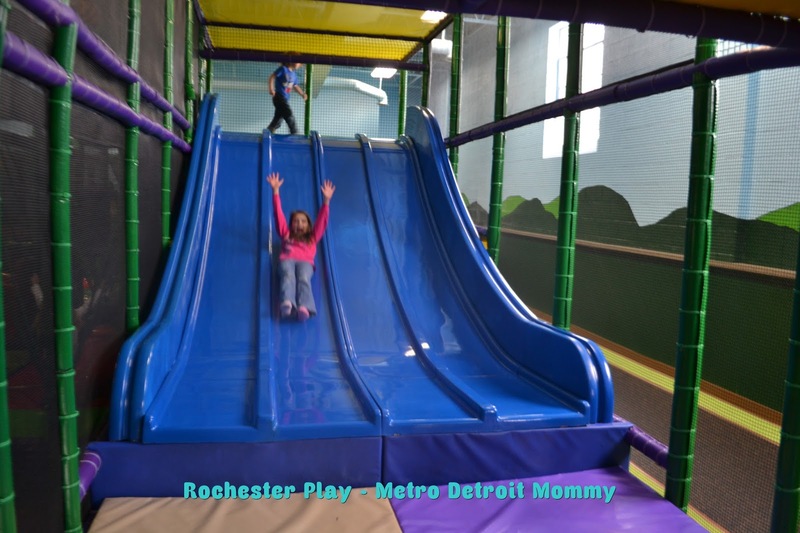 Let’s start with a open space, parents can see just about everything from one view, there aren’t any wrap around play spaces, as long as your kids are playing on the structure, you should be able to see them. I also love all the seating for dining in or enjoying a coffee (which by the way, the coffee was great). 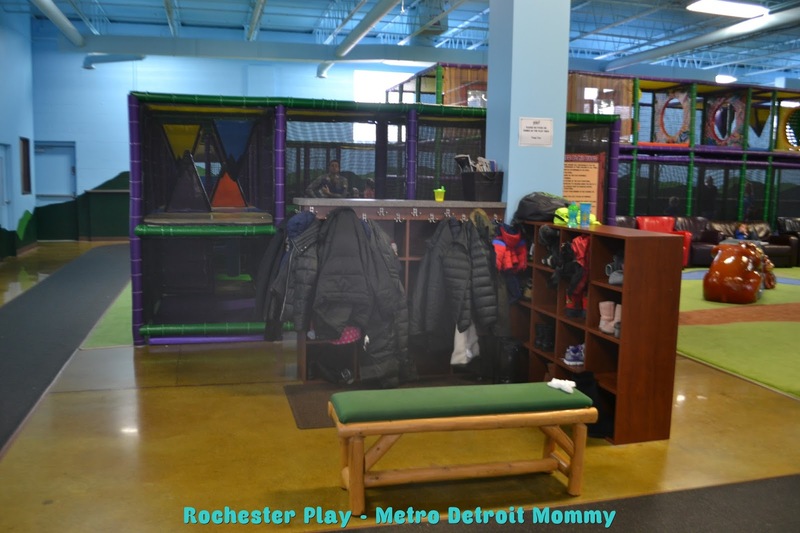 There is plenty of space to hang your coats and jackets, cubbies for shoes and belongings. 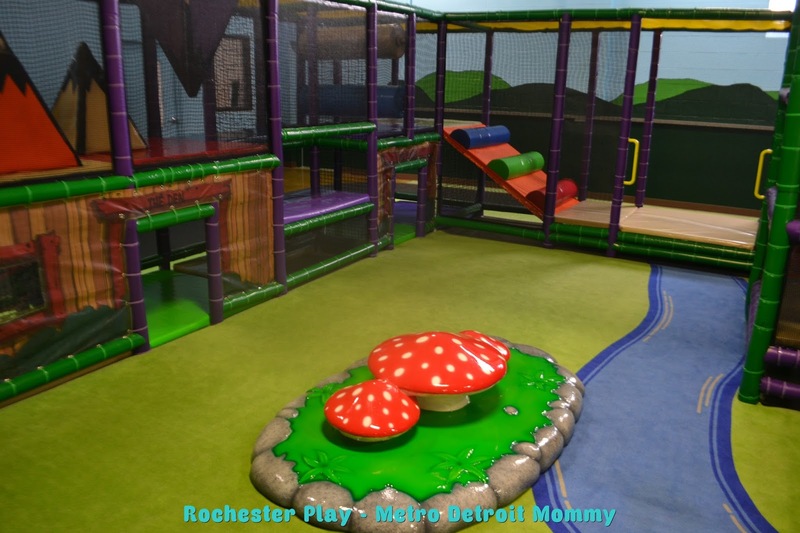 A section just for toddlers that is enclosed makes keeping an eye on your little one easier at Rochester Play. 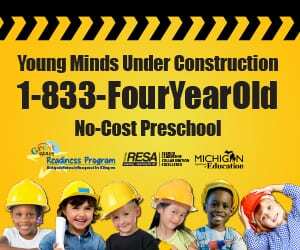 There is plenty to do and keep your kids busy and active for hours. Rosa loved the slides, all the kids were not ready to leave at lunch time. Not so thrilled about the video games. I guess they are fun if you are attending a birthday party. While my children are perfectly happy to play on the structure and not play games, it would be nice if the temptation wasn’t even there. 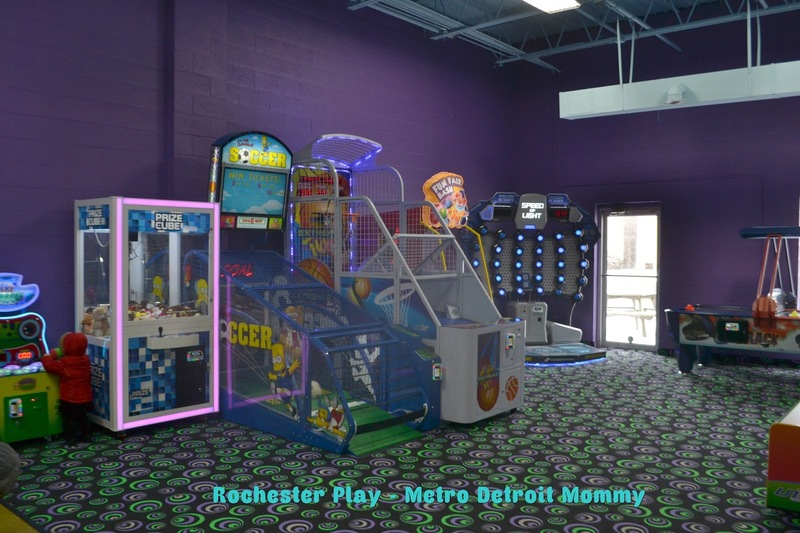 This location also hosts two party rooms and a laser cave. 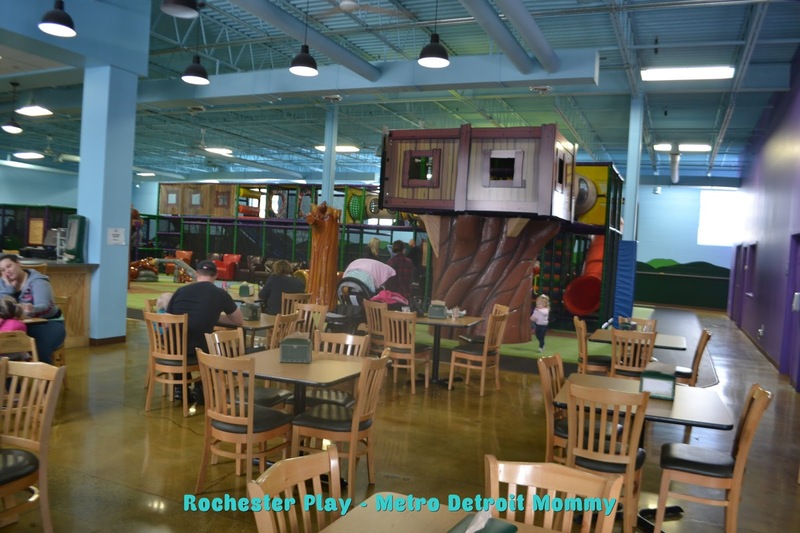 Rochester Play would be a great place to host your child’s next birthday party for sure. See more images from our experience in our photo gallery. 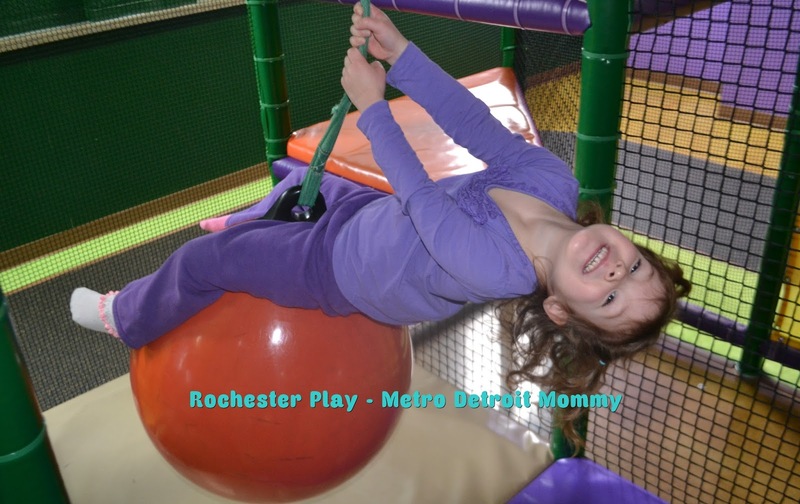 Metro Detroit Mommy was NOT paid or granted admission in exchange for this post. All opinions are my own and genuine, your experience may differ.